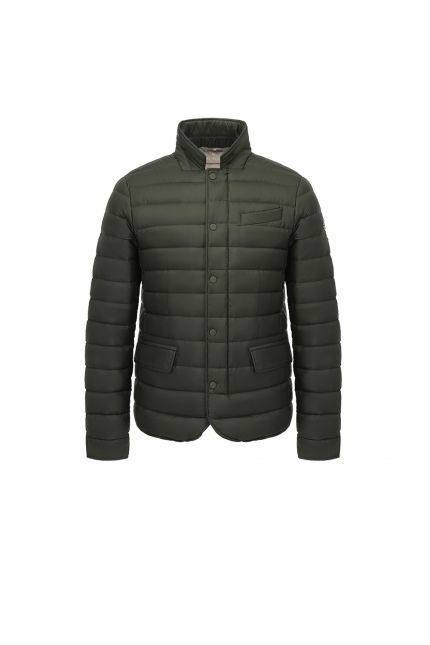 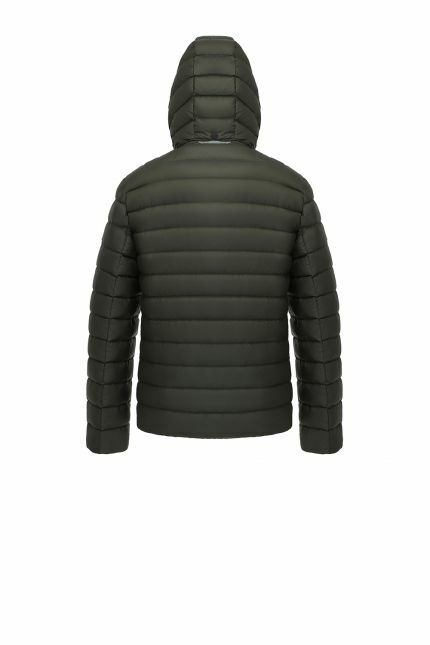 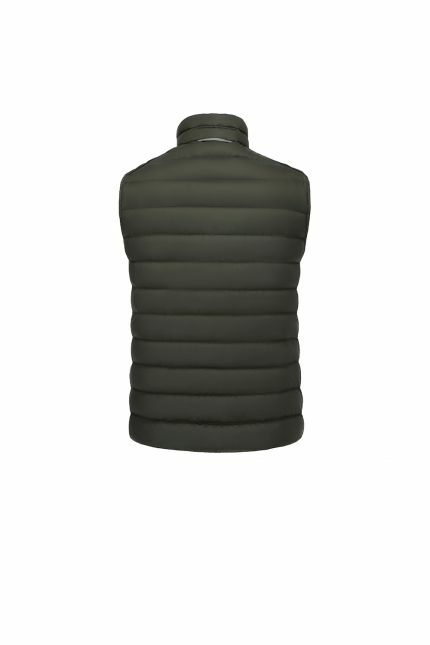 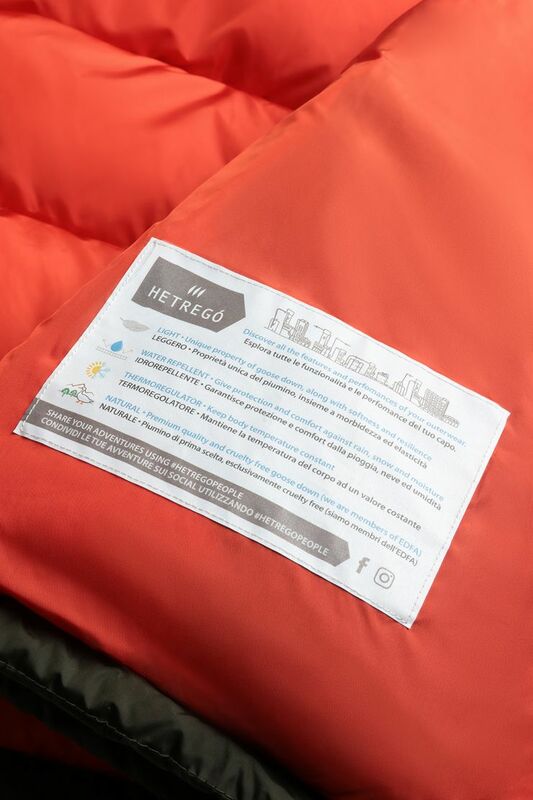 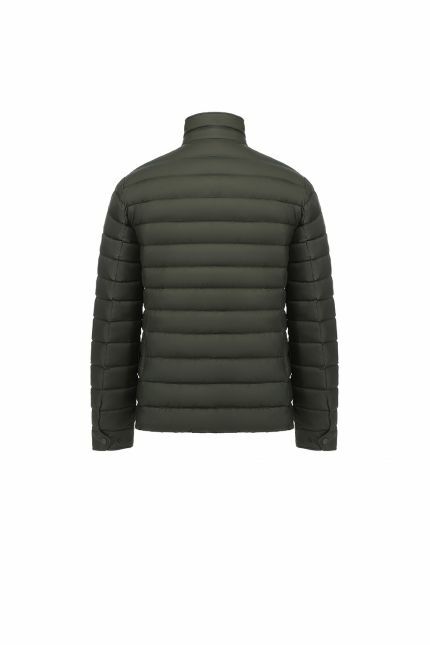 Hetregó Hernan green down jacket mixes function and high-performance styling and the result is an oversized elegant coat that will make you stand out from the crowd. 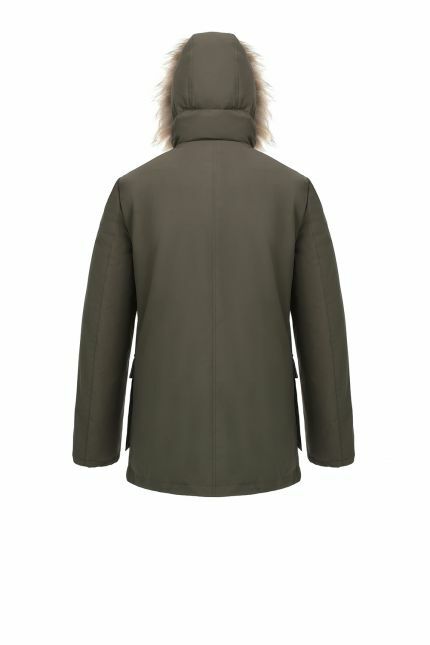 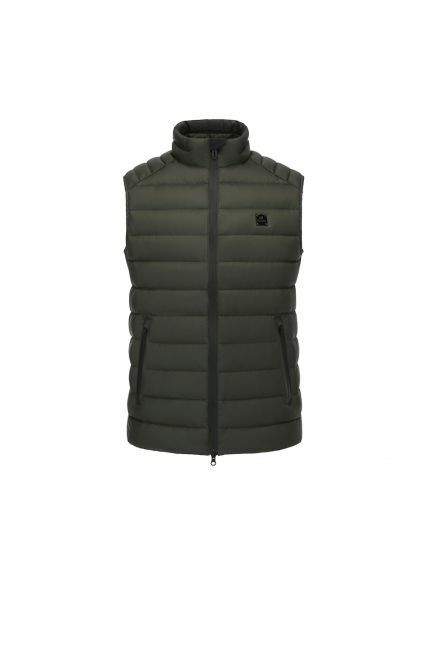 This style features a fixed hood, a two-way zip fastening covered by buttons and side pockets. 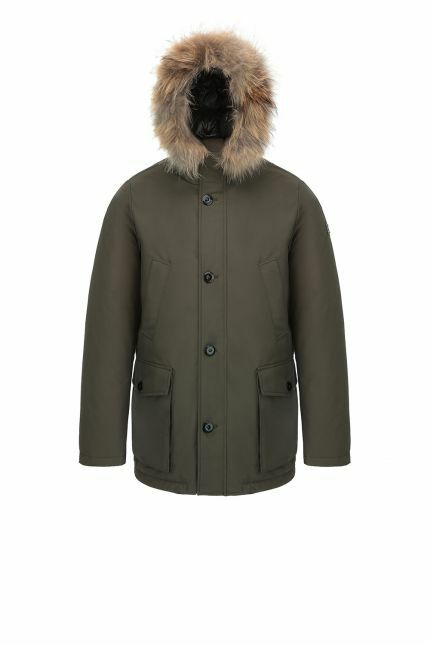 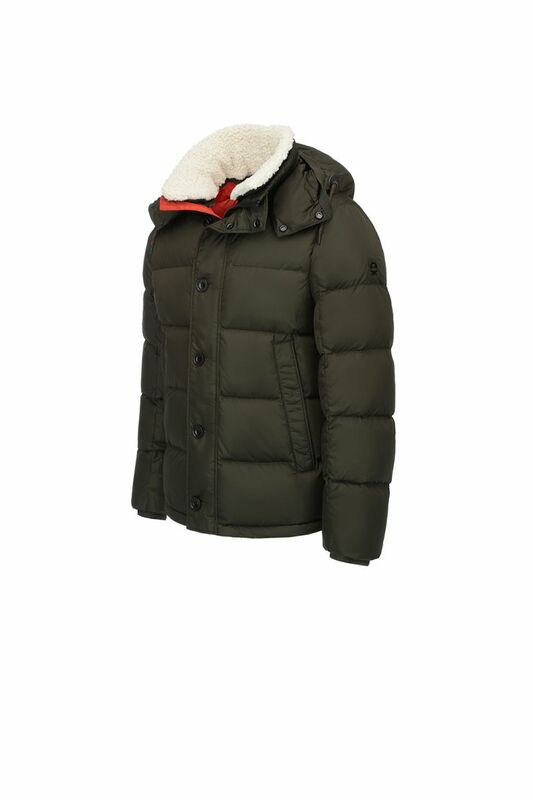 This style is padded in goose down and has an ecological removable sheep collar: close the central two-way zipper to feel the softness and the warmth of the eco-fur or add a touch of personality to your coat showing it off. Hernan is a versatile down jacket, ideal for sporty and elegant outfits and is detailed with a contrasting orange lining, sophisticated drawstrings and leather embossed drawstring stoppers.